Steam & Dry Upholstery Cleaners in E15 Stratford | RDA Cleaning & Maintenance Ltd.
With more than 8 years of service and experience we can guarantee you the best professional upholstery cleaning Stratford E15 services! Our skilled upholstery cleaners can cope with over 20 kinds of upholstery providing you great results in any case. To remove unpleasant odour, stains and freshen the look of your upholstered furniture, call RDA Cleaning & Maintenance Ltd. at 020 3404 1646. Hire an expert home and office cleaning company now and enjoy a discount when you get more than one of our treatments at once. We require no deposit for booking us, nor will we charge you extra for weekend and bank holiday appointments! 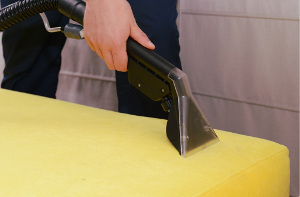 Hire Our Upholstery Cleaners In Stratford E15 And Get Perfect Home Hygiene! Our upholstery cleaners in Stratford E15 know that the ideal approach requires deep disinfection and proper sanitizing method application. Our first-class upholstery cleaning company applies steam upholstery cleaning in case of high level of dirt, old pieces of furniture and also synthetic materials. We also remove the dust from the inside. By adding hovering, deodorizing and stain treatment in the procedure, RDA Cleaning & Maintenance Ltd. offers you full upholstery treatment at a bargain price. What makes us so successful in domestic sofa & chair cleaning in Stratford E15 is the fact that our sanitizing formulas work on all types of sofas. No matter what your upholstery type and material is, we can easily remove the stains, eliminate the bacteria and reduce the dust to the minimum. This is why we begin the procedure by estimating the textile type. Then, we test the most suitable (according to the well-trained and educated upholstery cleaners) on a small amount of the fiber. Be sure, that all procedures are performed with chemical-free cleaning detergents and modern machines. Hovering and deodorizing are always included in the price. Last, but not least, on request, we will apply Scotchgard protection, too. Don't waste more time and make an order for our top-notched upholstery cleaning services in Stratford E15! Our services come with bargain price and numerous bonuses like free customer support services and helpful consultations. Get a free quote today! Reach us through this phone number 020 3404 1646!